Radiesse, is a brand of cosmetic dermal filler used to fill wrinkles and deep lines around the nose, mouth and temples. It’s also used for nasolabial folds (laugh lines), and marionette lines (lines that run downwards from the corners of the mouth and make us look anxious, cross or unhappy). Radiesse is composed of Calcium Hydroxylapatite (CaHA) microspheres suspended in an aqueous gel carrier. Once Radiesse is injected, it provides immediate volume and correction but continues to work by stimulating the body to produce its own natural collagen. Over time, the gel is absorbed and the body metabolises the CaHA microspheres leaving behind only the body’s natural collagen. The Radiesse treatment and other dermal fillers smooth out the wrinkles and plump up the skin. The type of facial filler that is injected will depend on the area injected and the result required. The results of a Radiesse treatment last for 12 months or more in most patients. 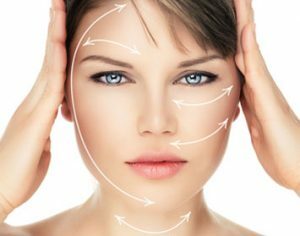 The results of other dermal fillers depend on the density and viscosity of the filler used. Facial fillers with high density provide volumisation that can last up to 15 months or more. High density injectable fillers like Juvederm Voluma and Boletero Volume can be used for jawline definition and enhancement. Radiesse is also an option to use for this treatment. The filler is injected quickly and simply into the jaw angles and along the mandible bone for definition and enhancement. Radiesse filler is the preferred treatment for jaw augmentation because it’s is partially composed of hydroxyapatite particles, an organic component of natural bone. In addition, Radiesse jaw fillers are thicker and have a more viscous consistency, which enables it to push away the soft tissue from the bone thus creating a far better jawline. Like most fillers, the results are not permanent and have to be repeated from time to time to maintain the effect. A chin augmentation using Radiesse chin fillers or other high viscosity fillers such as Juvederm Voluma or Boletero Volume is a safe and almost painless procedure that counteracts loose and sagging skin and improves the symmetry of the face. Fillers help give people a more youthful appearance. Radiesse filler injections and high density fillers (volumising fillers) along the chin, augment the tissues and increase the volume in this area. Radiesse filler can also be injected into the middle of the chin to smooth out any creases and chin folds. Radiesse contains calcium hydroxyapatite microspheres and is a gel suspension filler, and because of this it provides structural support to the chin area. Radiesse filler also helps to promotes the production of new collagen fibres … and it’s these fibres that also add volume. As we get older the back of our hands start to wrinkle, veins become more prominent and age spots appear. There are two types of hand rejuvenation treatment that can help restore your skin and make your hands look young again. Radiesse for hands – Volume-enhancing fillers, or medical grade mesotherapy products mixed with soft fillers, are injected into the middle layer of the skin, where they plump up the skin and improve the tone and texture. The fillers also moisturise from within. Chemical peel – A peel improves the look of hands that have been affected by age or liver spots, and where there are pigmentation problems caused by exposure to the sun. However, more than one peel might be needed in the case of pigmentation issues. While your hands may be swollen and bruised for a day or two following the procedure, there’s no reason why you can’t resume normal activities immediately. The result of Radiesse for hands lasts for around 6-9 months, while a chemical peel lasts for 1-2 years. You may need touch-up treatments from time to time to maintain the appearance.